Celtic Dragons have charged Kiwi coach Tania Hoffman with the task of dragging the Welsh franchise off the bottom of the Vitality Superleague in 2019. And with a break with tradition at Welsh Netball, who own and run the team, she will only coach the Superleague team and not be involved with Wales. All her predecessors – Melissa Hyndman, Trish Wilcox and Julie Hoornweg – had to double up with coaching the national side as well. The former Surrey Storm director of netball will follow in the footsteps of Aussie coaching ace Hoornweg, who took over when Wilcox resigned in January, as head coach at the Dragons. For the past two seasons she has also acted as head coach at the Storm. 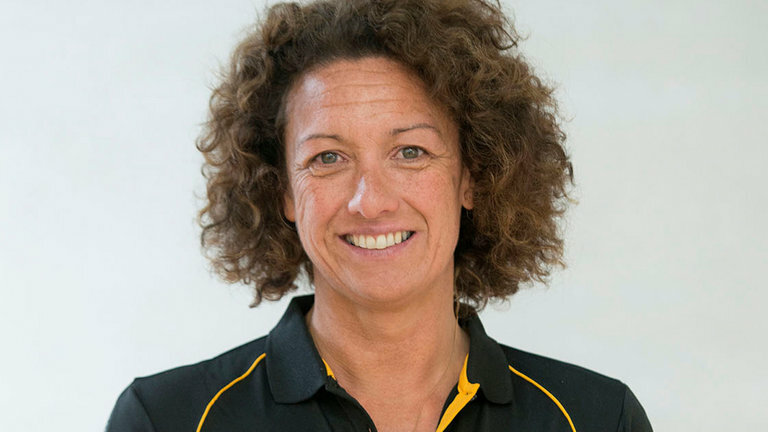 She took over as coach at the two-time Superleague champions when Tamsin Greenway left to join Netball Wasps. The Surrey side finished fifth in 2017 and seventh this year. The Dragons, meanwhile, finished rock bottom in both seasons and are in great need of new impetus as the sport moves into a World Cup year in England. Welsh Netball are also currently recruiting a new coaching team for the national side following Hoornweg’s return home. Wales missed out on qualification for the World Cup and will be the only home nation not taking part in the Liverpool-based tournament. Hoffman will head to the Welsh capital with a wealth of high level coaching behind her. She spent nine years coaching the national provincial teams for Canterbury and Christchurch, making the top four in eight tournaments and winning three titles. She was also the assistant coach for the Wellington-based Central Pulse franchise in her native New Zealand. She is also part of the highly regarded Netball New Zealand high performance coach development programme. It was announced in May that she would be leaving the Storm at the end of the 2018 season. She arrived in the UK on a two-year contract, which is the maximum stay allowed for a non-EU coach on the Visa sponsorship held by Surrey Storm, and therefore her contract was unable to be extended. “I’m looking to build on the framework that Julie Hoornweg implemented last season and continue the growth and development of the franchise,” said Hoffman. The Dragons, who have represented Wales in the Netball Superleague since its inception in 2005, will shortly confirm their playing squad for 2019. “For the first time in the Dragons’ history we now have a dedicated head coach that is completely separate to Wales. This demonstrates the ambition of the Dragons as they embark on a fiercely competitive Superleague season,” said Sarah Jones, CEO of Welsh Netball.